Dubai, UAE, March 5, 2017: Experiential travel, the main theme of this year’s Arabian Travel Market (ATM), is driving tourism growth in Qatar, as the country works towards its 2030 ambitions to welcome 10 million visitors a year and generate US$17.8 billion in tourism receipts. According to research released ahead of ATM 2017, which takes place at Dubai World Trade Centre 24-27 April, Qatar will look to generate 5.2% of its GDP through tourism over the coming years, creating 98,000 jobs and managing an inventory of 63,000 hotel rooms. A perfect example of experiential travel is Souq Waqif in Doha, which offers several small shops lined along paths with an array of Middle Eastern merchandise, from spices and seasonal delicacies to perfumes, jewelry, clothing and handicrafts. While the country’s culture and heritage remains of paramount importance, Qatar is also set to invest up to US$45 billion in new developments under the National Tourism Sector Strategy 2030. These include US$2.3 billion earmarked for 2022 World Cup facilities and $6.9 billion for transport infrastructure and associated projects. Simon Press, Senior Exhibition Director, ATM, said: “Qatar’s well-paced National Tourism Sector Strategy 2030 will steadily boost tourism numbers over the coming decade, with the first milestone of four million visitors a year by 2020, well on track. Qatar Tourism Authority (QTA) predicts the tourism sector’s total economic contribution will reach QAR 81.2 billion (7.3% of GDP) by 2026, up from QAR 48.5 billion in 2015. In 2015, investment in travel and tourism activity comprised 2.2% of the country’s total funding, with this expected to rise by 8.6% per annum to 2026. The introduction of new demand drivers will be vital to supporting the continued rise in leisure spending, which is expected to reach values of QAR 44.9 billion in 2026, while business travel spending is expected to rise to QAR 17.5 billion in 2026. Qatar is already the fastest growing destination in the region in terms of visitor arrivals, averaging 11.5% growth over the past five years, according to data from the QTA. The Authority’s Tourism Performance Summary, for the third quarter of 2016, recorded arrivals of 2.18 million visitors in the first nine months of the year, including more than one million GCC nationals. Qatar’s Hamad International Airport (HIA) saw passenger traffic jump 20% in 2016, handling some 37.3 million passengers, a leap of 7.3 million from the previous year. The surge is partly attributed to the operator Qatar Airways’ fast growth, which included 14 additional destinations last year. The airline giant has also announced the world’s longest flight by duration - a 17+ hour route from Auckland to Doha. Arrivals in 2017 will also receive a boost from the cruise season, running October 2016 to April 2017. It is expected up to 30 ships will dock in Doha during the current season generating 55,000 visitors. This could reach as many as 250,000 passengers by the 2018/19 season. In order to deal with the expected demand, Qatar currently has 22,921 hotel rooms with a further 15,956 rooms under contract, representing a 69% increase in total stock in the current pipeline. The country posted a decline in hotel performance across all key metrics over 2016, as overall occupancy dropped 12.2%, ADR fell by 7.5% and RevPAR fell by 18.8%. 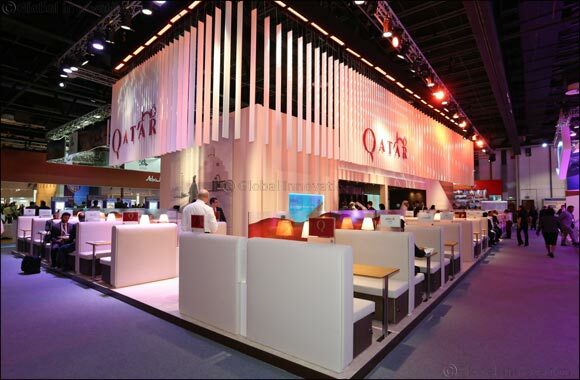 ATM 2017 will showcase exhibits from Qatar’s biggest tourism brands, including the Qatar Tourism Authority, Qatar Airways, Katara Hospitality, which operates its own hotel brands in Qatar and owns a number of heritage properties across Europe; Doha Marriott Hotel, Sheraton Grand Doha Resort & Convention Hotel, The Ritz Carlton Hotel, Qatar, and Hotel Royal Savoy, Lausanne. ATM - considered by many industry professionals as a barometer for the Middle East and North Africa tourism sector, witnessed a year-on-year visitor attendance increase of 9% to over 28,500 in 2016, with 2,785 exhibiting companies, signing business deals worth more than US$ 2.5 billion over four days.